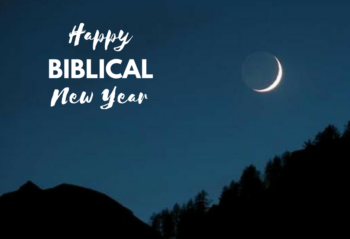 As we celebrate and sanctify the new year, may God’s glory come to dwell with you personally in a new, very meaningful way. May He inaugurate this year with His presence among us as never before! *The first month of the year is commonly known as “Nisan,” a name derived from Jewish exile. For more on Rosh Chodeshim, you can visit http://www.hebrew4christians.com/Holidays/Spring_Holidays/Rosh_Chodashim/rosh_chodashim.html.